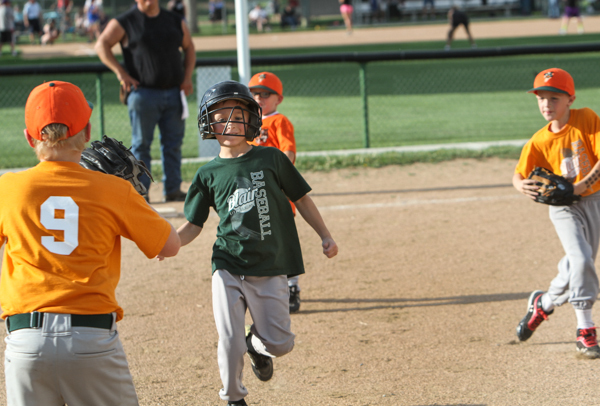 I stopped by the Youth Sports Complex in Blair on Tuesday to watch some of the Rookie League baseball games. 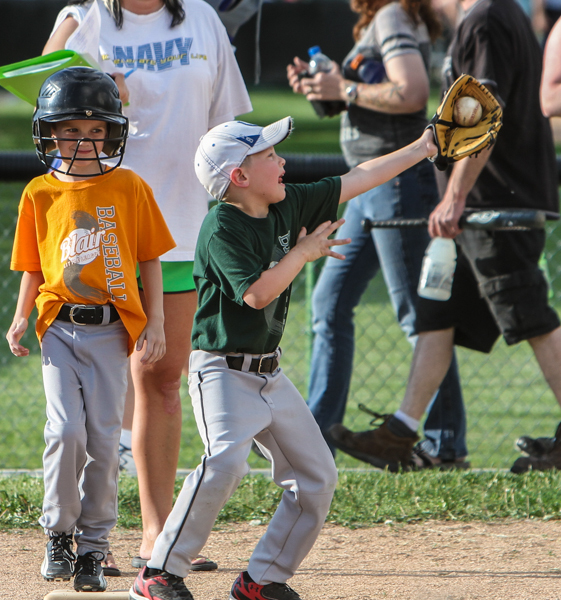 The Rookie League is made up of the 7- and 8- year-olds. 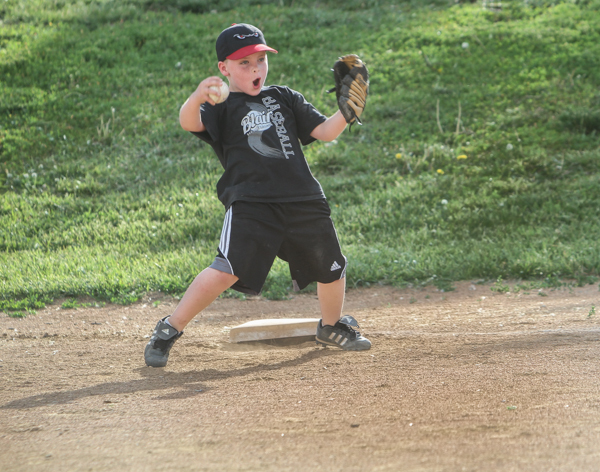 Karter Scott celebrates making the play at first. 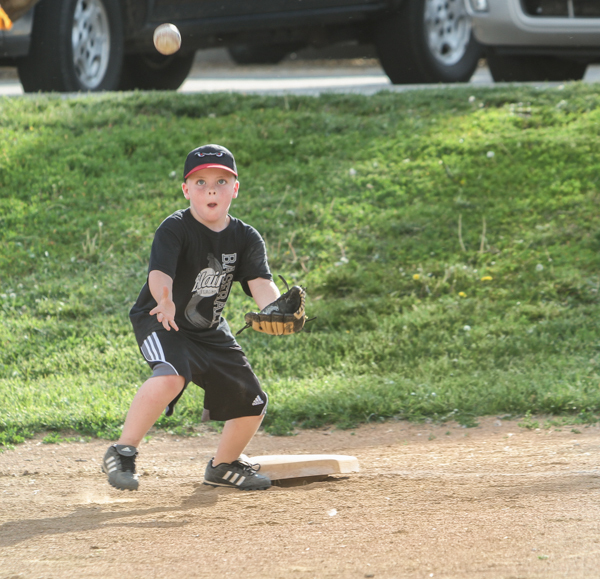 Luke Raymond makes a catch at first base. 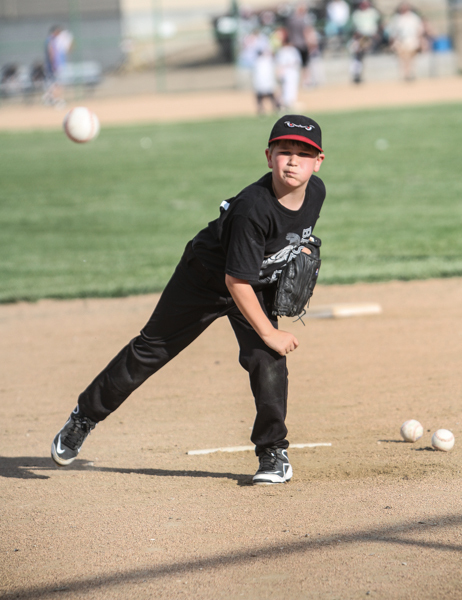 Hayden Berg pitches fo the Lake Elsinore Storm. 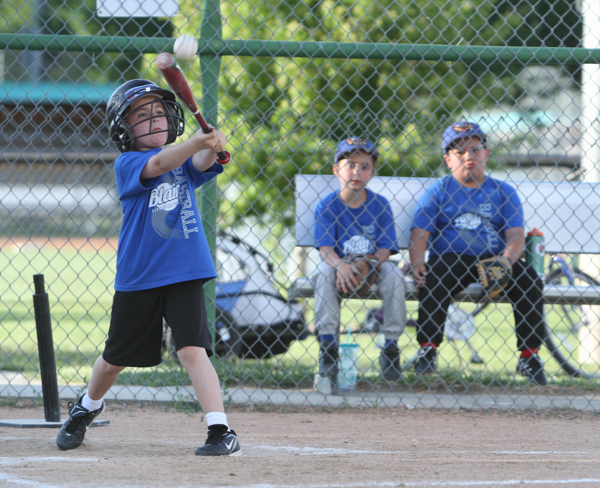 Ethan Scott makes contact with the pitch. Austin Back gets caught in a pickle. 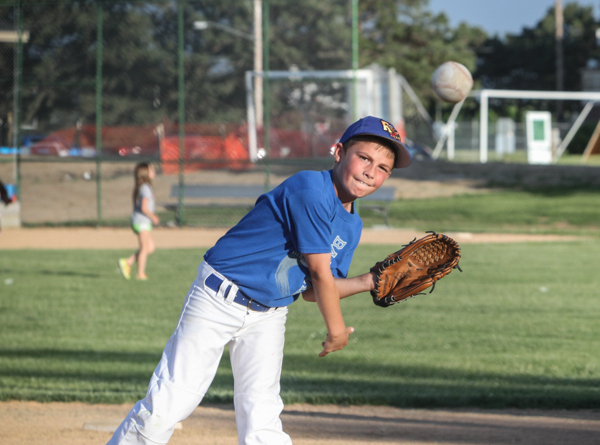 Bode Soukup pitches fo the Rockhounds.